Sitecore is the global leader in digital experience management software that combines content management, commerce, and customer insights. The Sitecore Experience Cloud™ empowers marketers to deliver personalized content in real time and at scale across every channel—before, during, and after a sale. In other words: Sitecore is the most popular Enterprise Digital platform at the moment. Vue.js is a progressive framework for building user interfaces. Unlike other monolithic frameworks, Vue is designed from the ground up to be incrementally adoptable. The core library is focused on the view layer only, and is easy to pick up and integrate with other libraries or existing projects. On the other hand, Vue is also perfectly capable of powering sophisticated Single-Page Applications when used in combination with modern tooling and supporting libraries. Now that we have the Sitecore JSS CLI in place, which allows us to quickly scaffold out Sitecore Single Page Applications (SPA’s). It provides build setups for a modern frontend workflow. It takes only a few minutes to get up and running with hot-reload, lint-on-save, and production-ready builds. 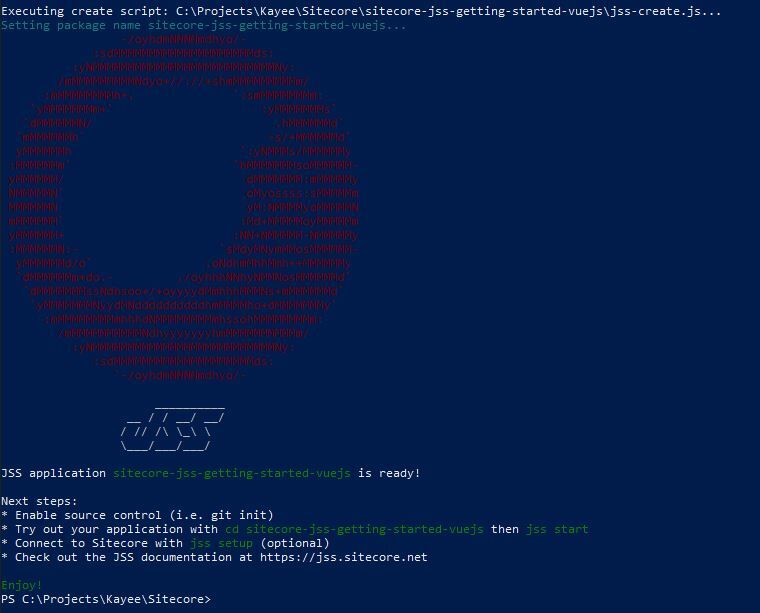 Run jss create sitecore-jss-getting-started-vuejs vue to create a Sitecore JSS configured vue.js app. 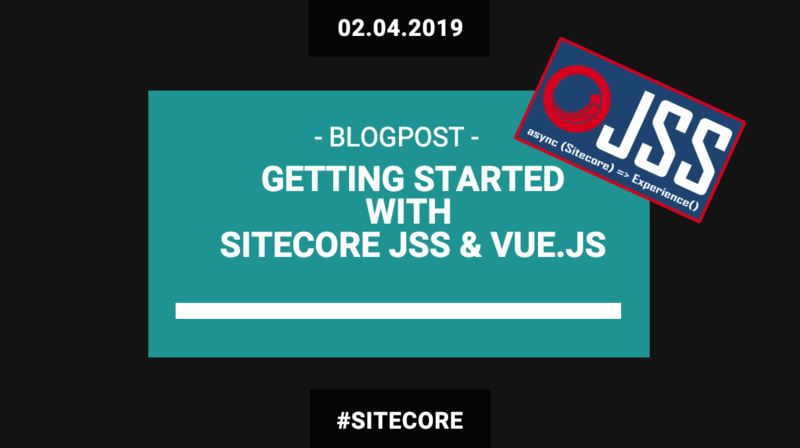 As can been seen in the screenshot above we can easily go into the sitecore-jss-getting-started-vuejs directory and run the following command to startup the Vue.js app. And that’s it, we just installed, configured our first Sitecore JSS Vue.js app that runs at the moment completely disconnected (more on modes in a following blog-post) from Sitecore.